If your credit score seems like a disaster, then it can be very frustrating for you. Your options are limited regarding credit cards to which you can apply. You’ll find it tough to get accepted as a likely candidate for an apartment or a house that you’d like to rent. Buying a car could be a challenge as well. If you’re experiencing all of these things, though, it doesn’t mean your life is over. You can resurrect your credit, but it’s going to take some resilience and discipline on your part. Here are ways that you can get back on track. Every time that you apply for new credit cards, your credit takes a hit. If your credit score is bad, this is going to make it worse, and besides, if it is in such poor shape, there is no reason that you should be applying for new credit cards anyway. 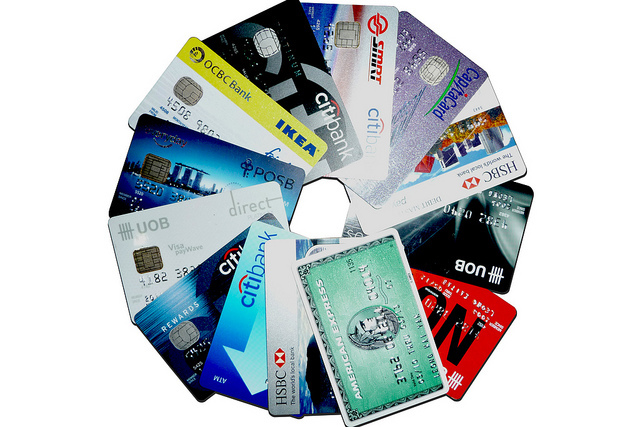 Be content with the cards you have until you can get your finances under control. This seems like the obvious solution for raising your credit score, and yet some people don’t think to do it. Whatever credit card debt you have, pay it off, as much of it at a time as you can, and do everything possible to avoid accruing any more. Instead of eating out at restaurants, cook at home using groceries you bought from the store. Buy store brand food instead of name brands. Shop for clothing at Goodwill and the Salvation Army. Once your debt is paid off, you will see a significant difference in your credit score. This is also not the time to take out a loan. If you have a vacation planned, and you’re going to borrow money to pay for it, put it off. Instead, do a staycation, where you use your time off and hang around your house. You can go for walks, go to public parks, and do movie nights with your family. Avoid the excessive expenditures that go along with lavish vacations this way. It might not be quite as fun, but it is the responsible thing to do as you slowly raise your score. If you’re going to get a vehicle during this period, don’t go for a brand-new one. Instead, get a used car that is not too flashy. If you already have a car, and it’s still in decent condition, put off getting a replacement if it is not essential. The thing to remember as you are trying to get out of debt is to curb your spending. Any big ticket item that you don’t need, put off making the purchase. Learn more about this by going to websites that specialize in giving credit tips. More than anything else, though, during the time that you’re trying to raise your credit score, you have to think carefully about each financial decision that you make. Don’t spend as though money means nothing, because that sort of recklessness has real consequences. Concentrate on how good it’s going to feel when you’re finally out of debt, with a respectable credit score.